Laser Etching introduces a world of artistry to your design vision. You can delicately strip just the top layer of substrate fibers, like some digital wood carving master, to reveal patterns and illustrations in the paper of your product carton, or other commercial printing. This works wonders on specialty texture, or dyed paper stocks where you may want to avoid the multiple hits of ink needed to reproduce your design. 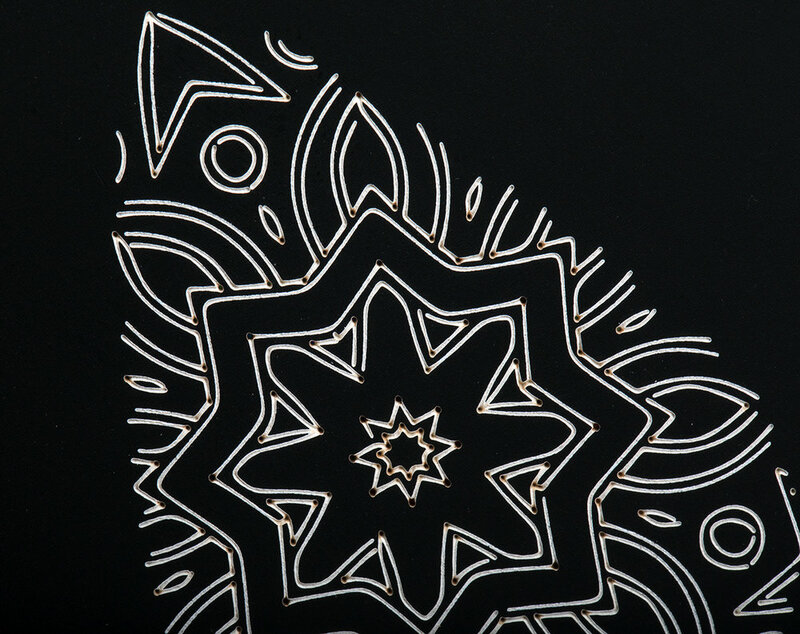 With laser etching, you can open up your design vision (and personalization needs) to a new world of paper stocks and structures that would have previously been prohibitive.